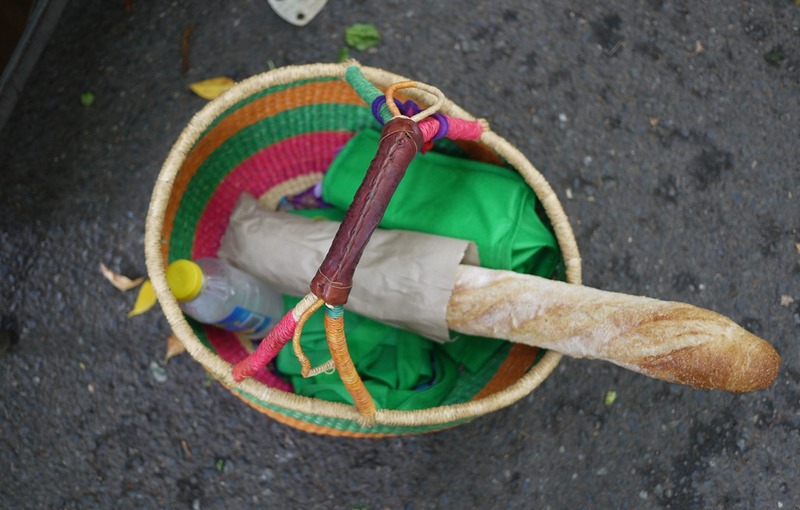 In honour of World Parks Day on Saturday, I thought I would write a little bit about my favourite park activity: picnics. These lovely little events encompass many of life’s wonderful pleasures: people, food, wine, cheese, outdoorsiness, bare feet and hopefully, sunshine. I have often found that when I’m craving a little bit of casual socialising, mixed with a little bit of adventure or relaxation, a picnic will always provide. 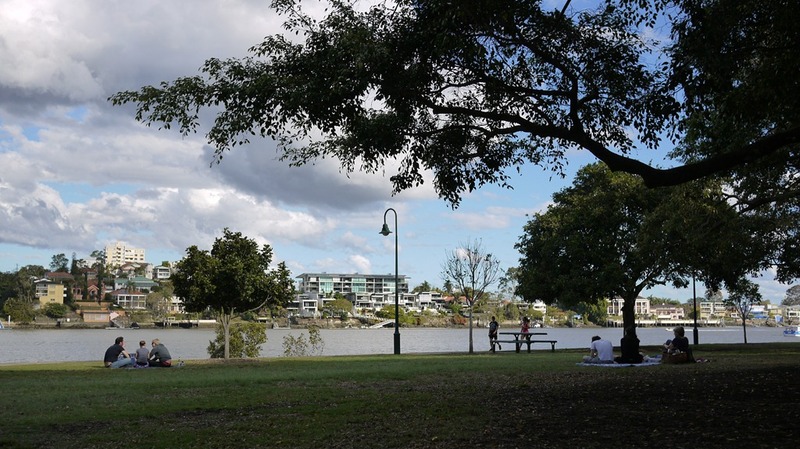 Here are some of my favourite types of Brisbane picnics (yes, there are types). I’ve found market-fresh produce is best served with a picnic blanket and some friends. My Saturday morning Davies Park Markets visits often see me sitting in a circle of chilled market goers, comparing and enjoying our produce spoils under a big shady tree. Menu – Whatever is in season and is a bargain. 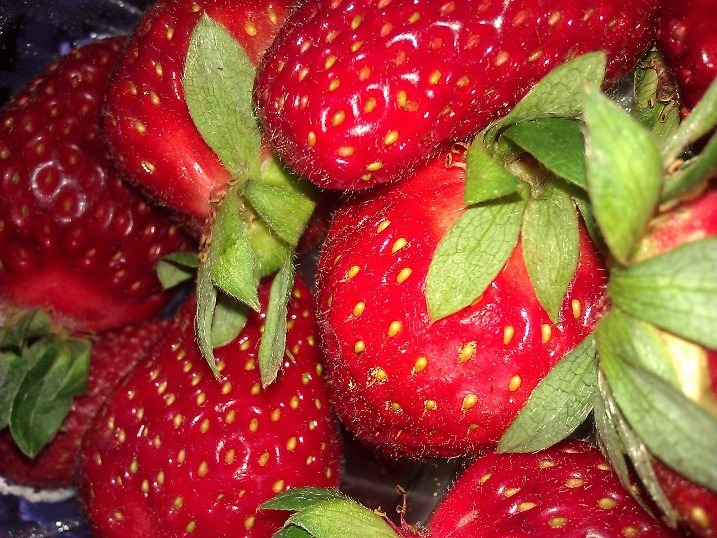 At the moment it’s juicy strawberries that stain your lips. Activities – Making friends with fellow marketeers, listening to buskers and swapping possible adventures for the weekend ahead. People – Whoever is around. Everyone is a friend when there is produce to be shared. 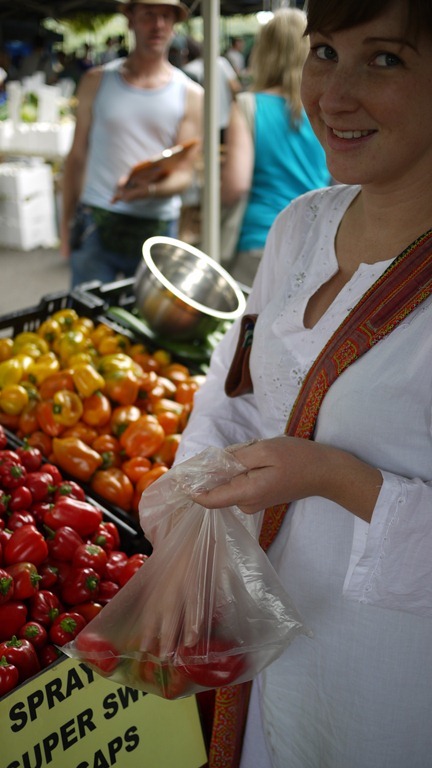 The Village Markets – Blamey Street, Kelvin Grove Urban Village, every Saturday morning. 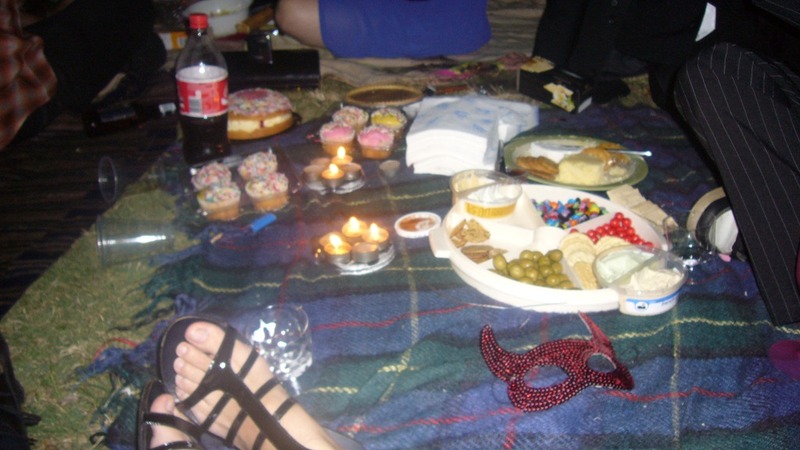 When I first moved to Brisbane, I met a group of glorious people through a mutual friend and was invited to a midnight masquerade picnic. Now, to be perfectly honest, I was a little hesitant turning up to a park in the middle of the night and approaching a group of practical strangers wearing masks. But, the night was a hilarious success and those glorious people remain my very good, and very interesting, friends to this day. The midnight masquerade picnic has continued as a yearly tradition, and so I feel it simply must make my list of favourite picnic types. However, I must stress, the fun in this event is very much in the creativity and uniqueness as much as it is in the people. So…get creative with a fancy dress theme, insist people follow the dress code, and the night will be a roaring success. Menu – Novelty foods, cakes, cheeses, champagne and wine… all foods naughty and decadent. 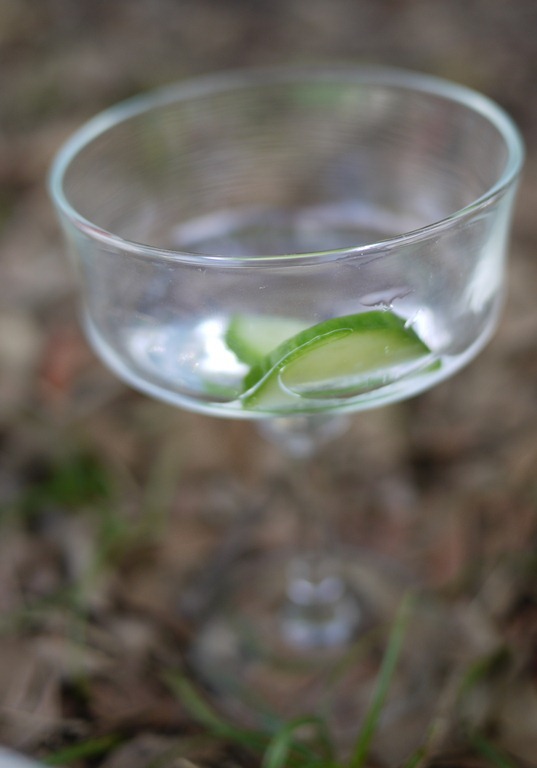 Activities – Dancing, eating, drinking, playing with sparklers and being mysterious in costume. People – The more the merrier. Fancy dress picnics are great for breaking the ice with new acquaintances and combining circles of friends. 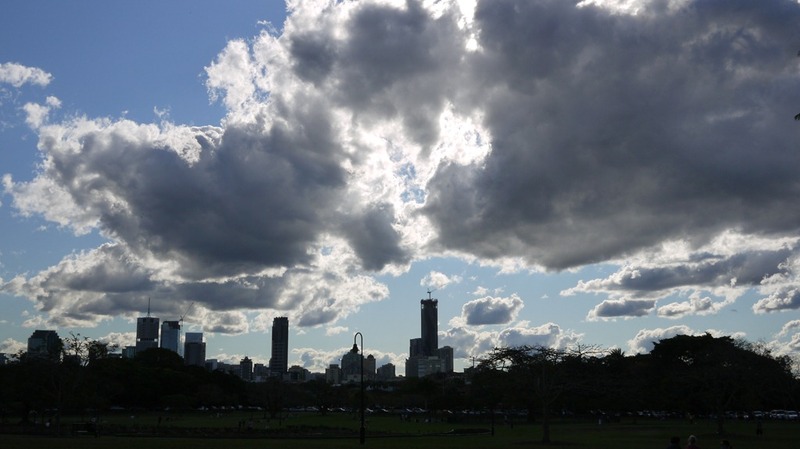 Place – New Farm Park has always been very accommodating for evening picnics, but…where ever you choose, make sure it is a night-safe park, there is easily accessible public transport and you know the rules about drinking, gathering, parking etc. at night. There is still a place in the list for the traditional family-fun picnic. This is the picnic where people of all ages come together to eat a lot, drink perhaps a little too much and then fight it out in some form of sporting pursuit. Menu – The classics: potato and pasta salads, corned beef and pickled sangas, a dead chook, beer and soft drinks, then tea and biscuits for later. Activities – Fussing over who gets to do what. Eating too much. Sitting on Eskys and talking about the weather. Playing soccer / badminton / football / Frisbee / cricket. Accidently tripping your siblings. Playing tips, even though you know you’re way too old for that now. People – Family, little ones (aka children) close friends, drunk uncles and the neighbours. Place – Big parks with enough space to not be hitting fellow picnickers in the head every time you swing for the ball. 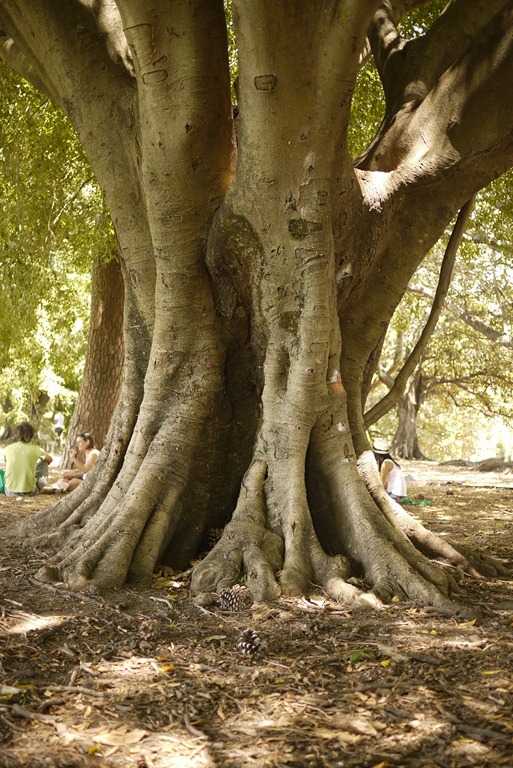 New Farm Park, Roma Street Parklands and the Botanical Gardens are all good picks for the family-fun picnic. 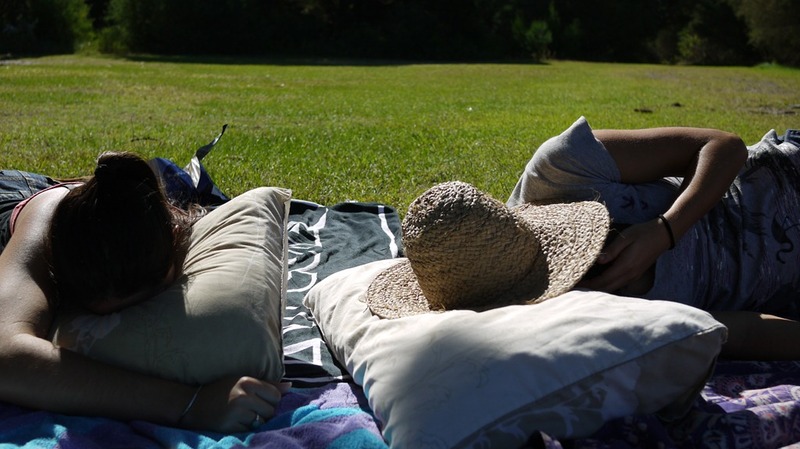 Often impromptu, often with the traces of Saturday night’s hangover, Sunday afternoon picnics can be the ultimate way to enjoy that Sunday afternoon relaxed feeling and prolonging the sense of weekend freedom. 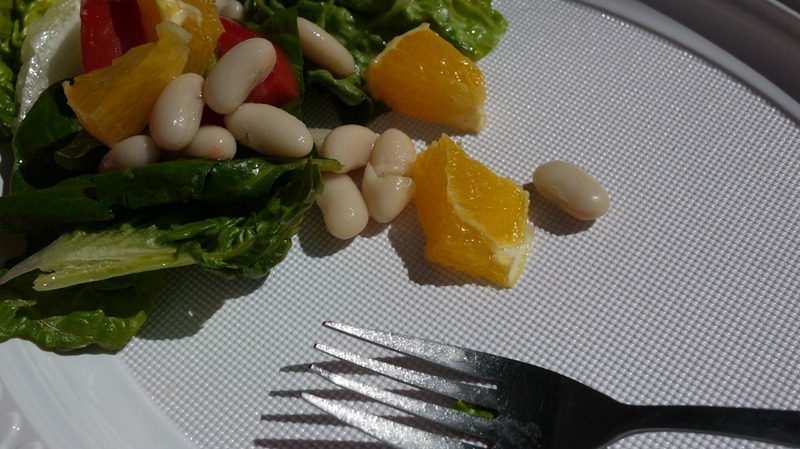 Menu – Leftovers, fruit, salad made from whatever is in the fridge, tonic and cucumber and/or cold cider. Activities – As little as possible e.g. lazing in sunshine, reading the weekend paper or napping under a tree. People – The inner circle; the people who you feel comfortable enough around to say nothing, or everything, and just be. Place – The local park; the nearest grassy spot. Again, New Farm Park, Roma Street Parklands and the Botanical Gardens are all pretty close to public transport for easy Sunday picnicking. I love the idea of the masquerade picnic! Hey HB, Yeah I have to say it’s one of my favourite events. Another to add to the list is the Mad Hatter’s Tea Party Picnic I attended today, which involved funny hats, moustache straws, falling-down-the-rabbit-hole sangria labelled ‘Drink me’… and sunshine! i Remember that midnight picnic, who could forget it . . . . and just think – one of those ‘practical strangers wearing a mask’ was your wonderful Mr Clarkey!!! Hehehe not too sure if it’s a typo or a deliberate mistake of spelling but i love that in the first paragraph it says a picnic will ‘ALL WAYS’ provide because in essence that’s just it. Hi KeL, Thanks for reading. I’m really glad you enjoyed it! Yes that picnic was a high point in my picnicing career. Sadly, I can’t claim the double meaning that is my ‘all ways’ typo. How careless of me. Glad it could add some extra significance though. I hadn’t considered the beach picnic; that’s a whole new category of fun. Cold beer, fish, chips, salad, sunscreen, sand castles, melting ice cream, umbrellas that fly away in the afternoon wind. Lovely!